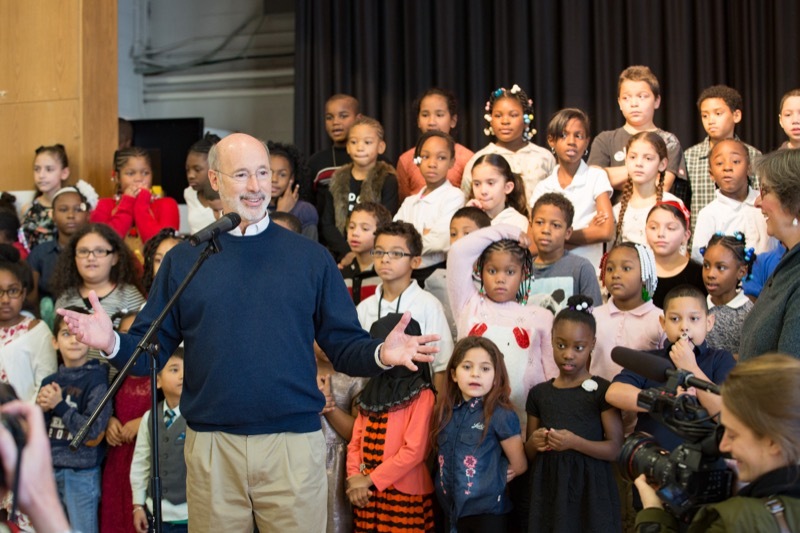 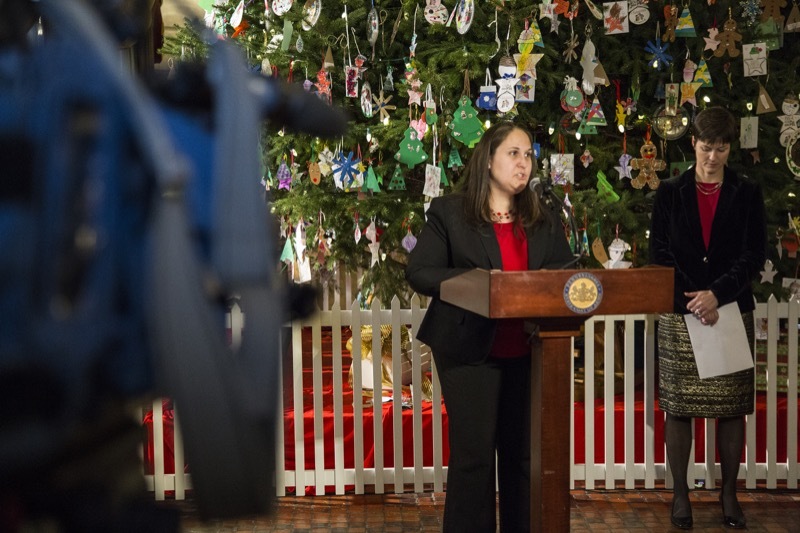 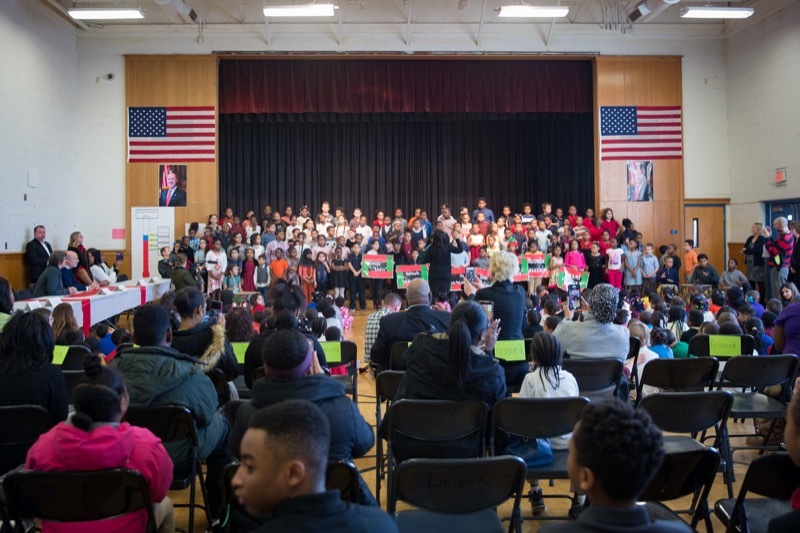 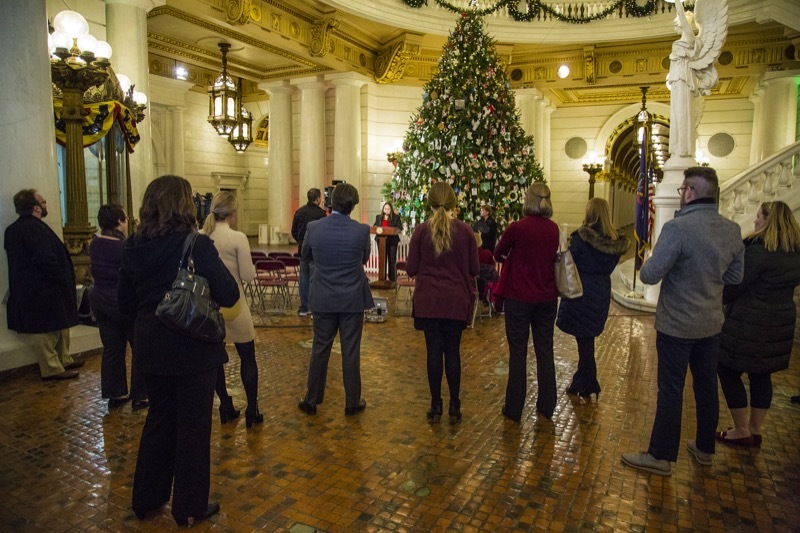 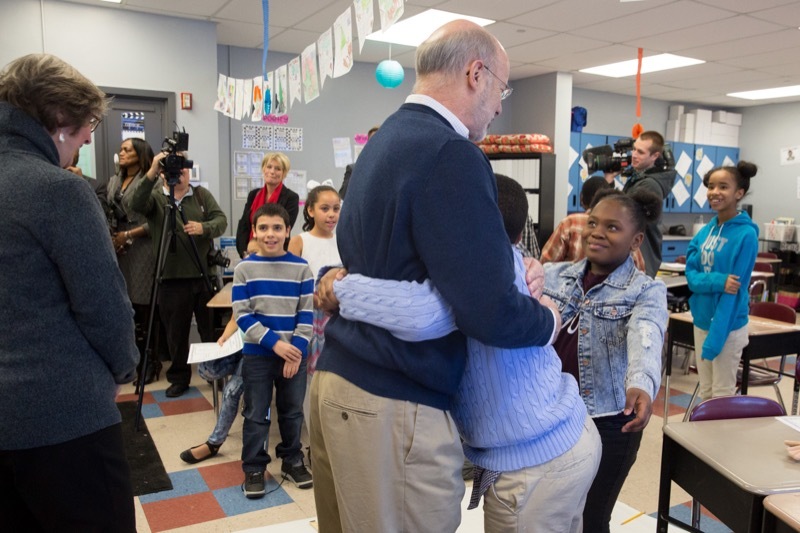 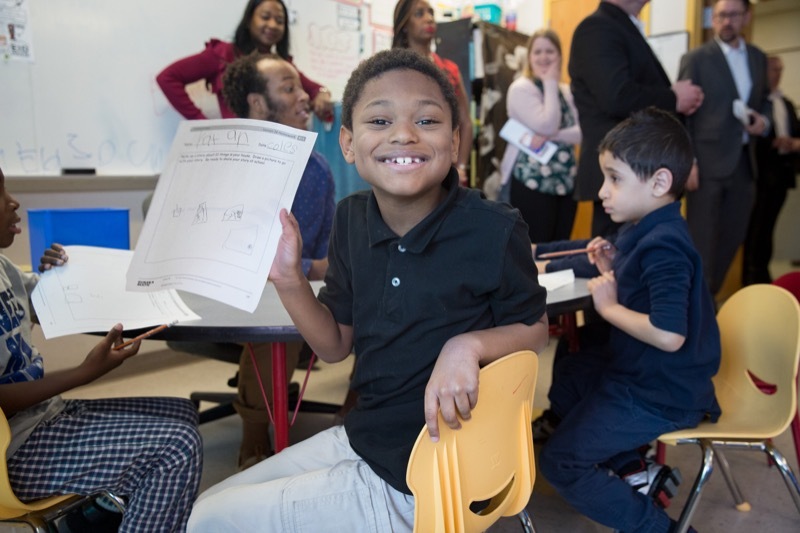 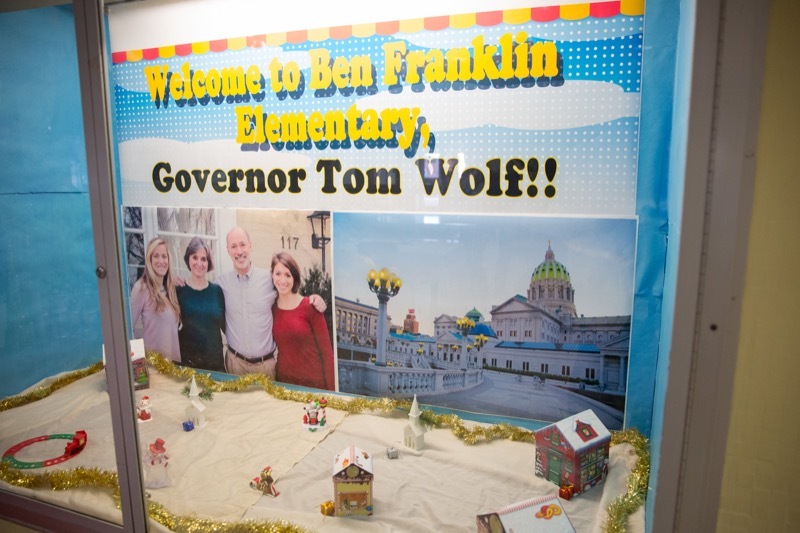 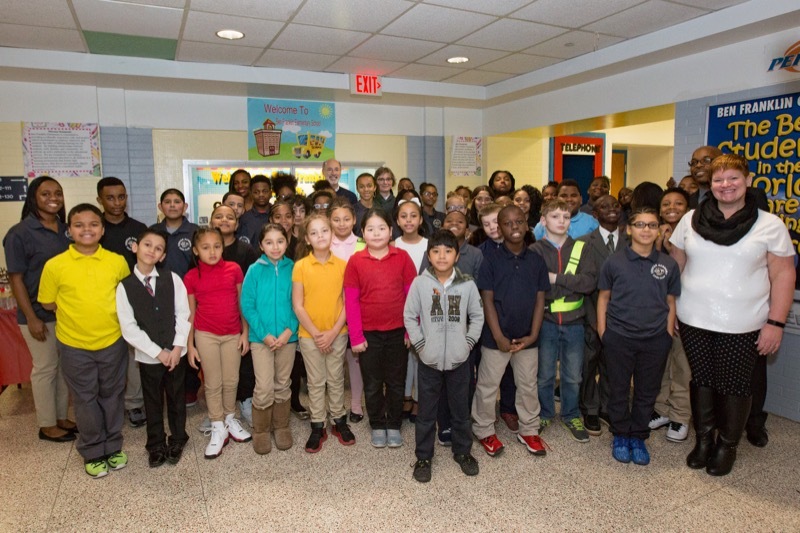 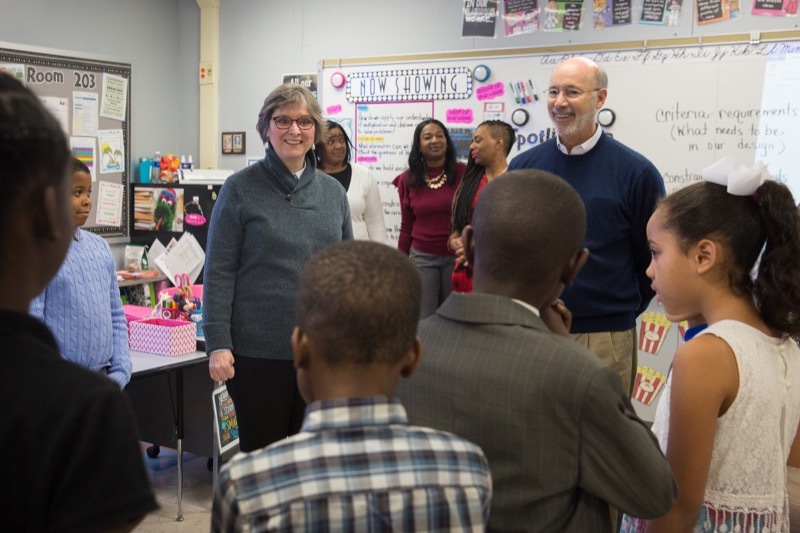 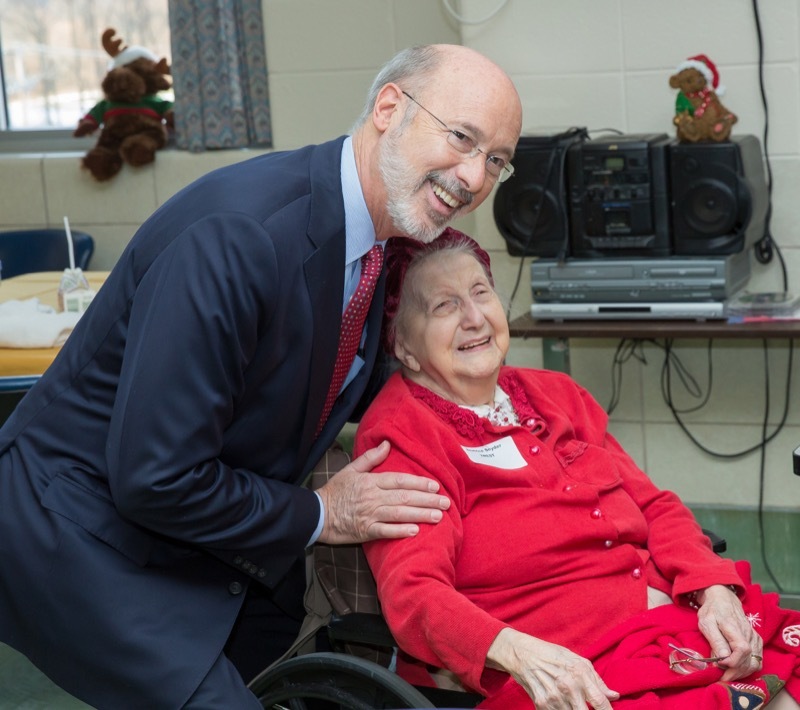 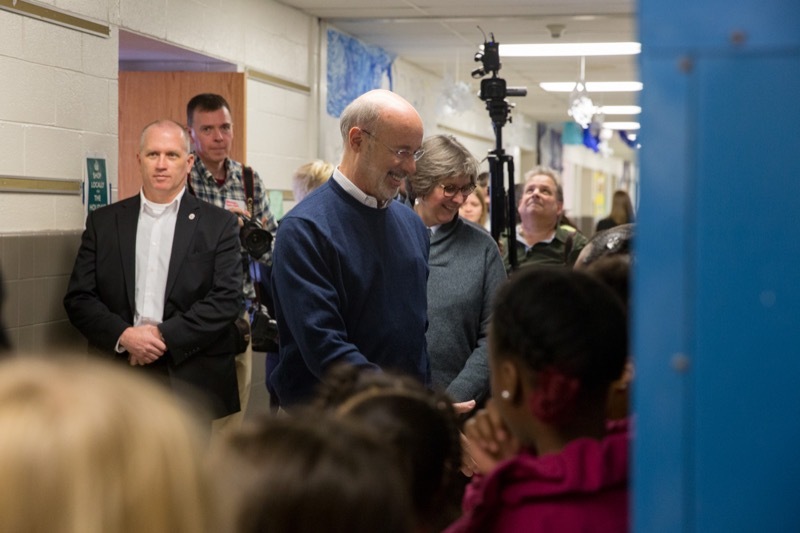 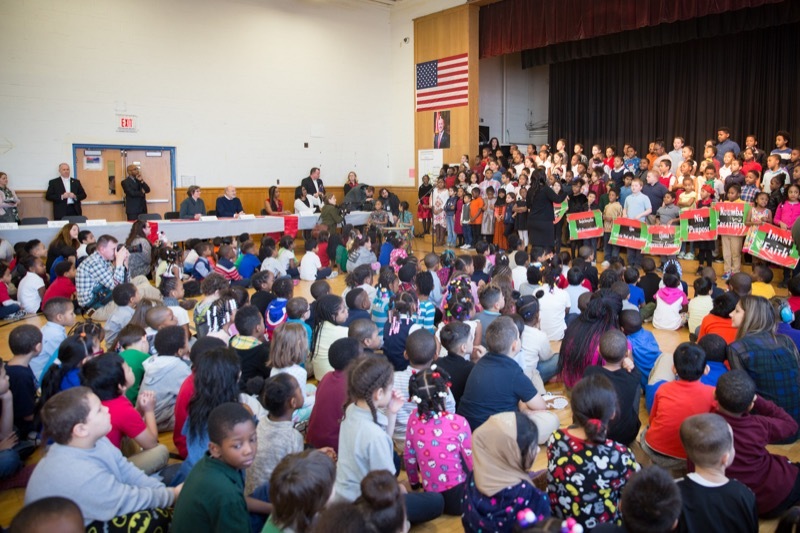 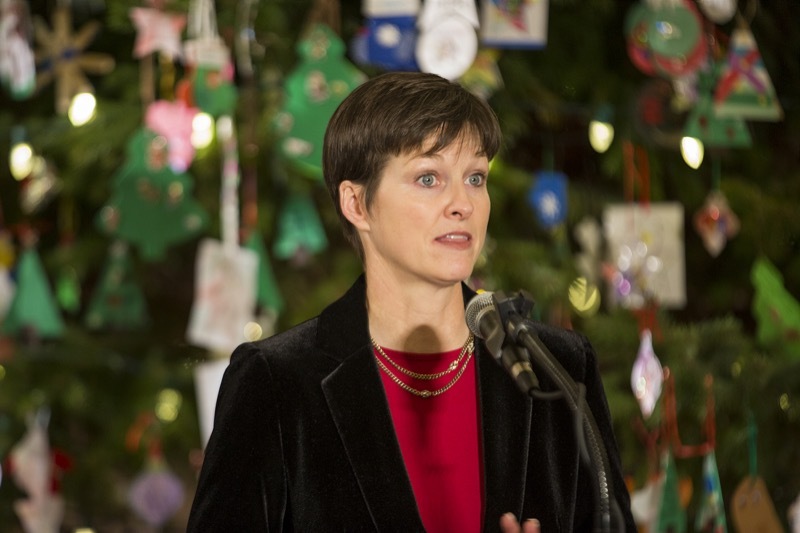 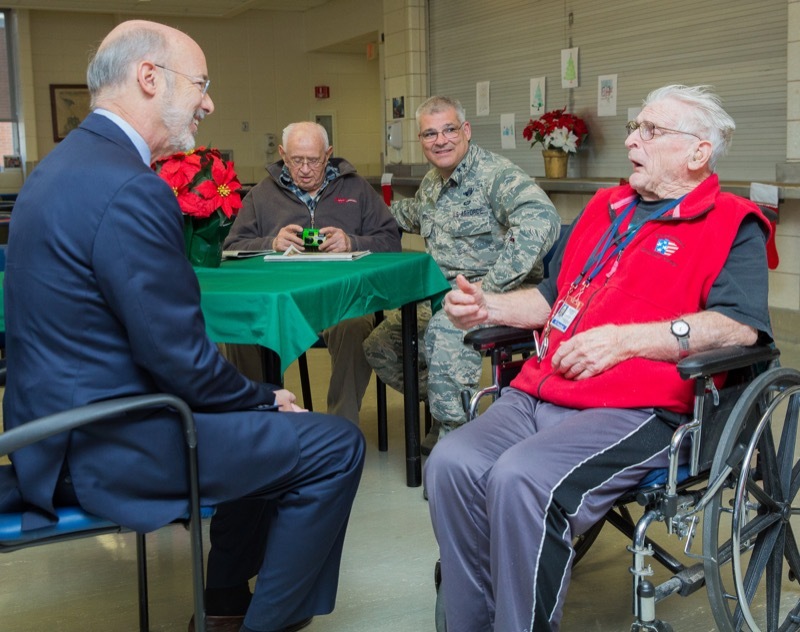 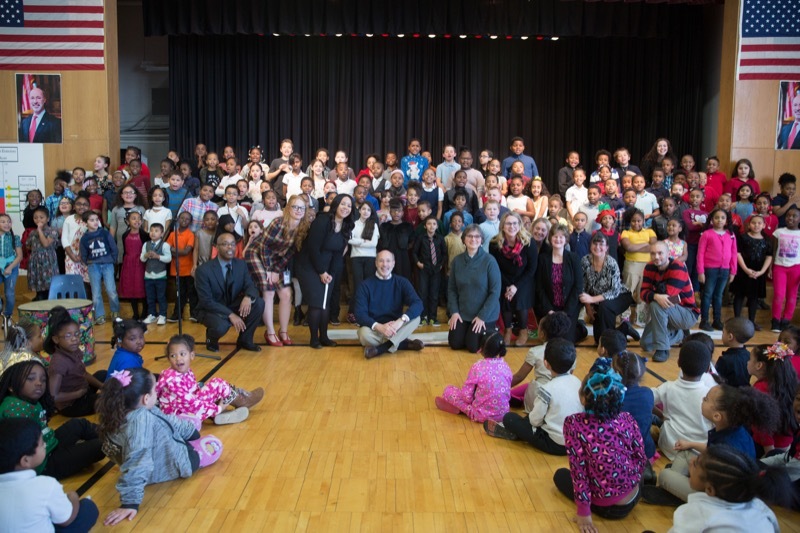 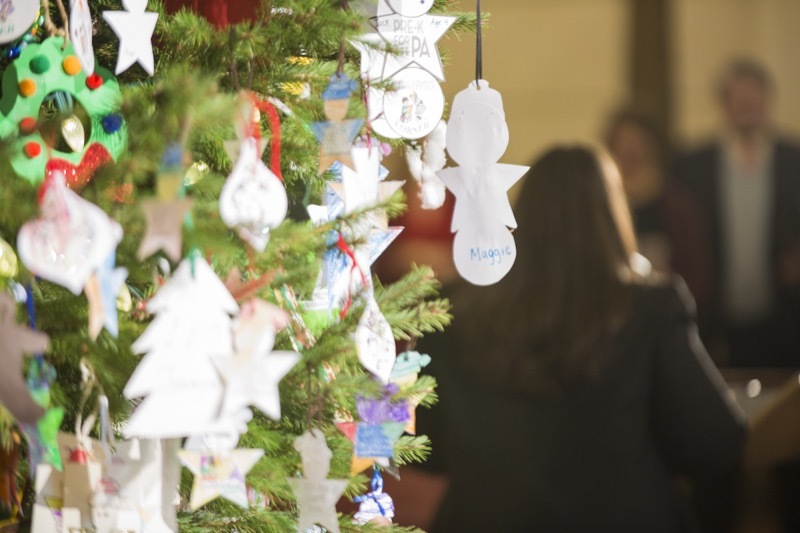 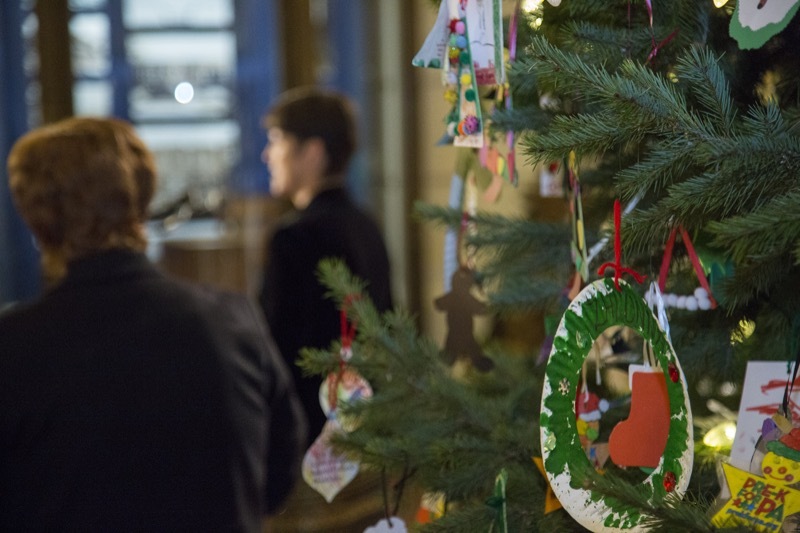 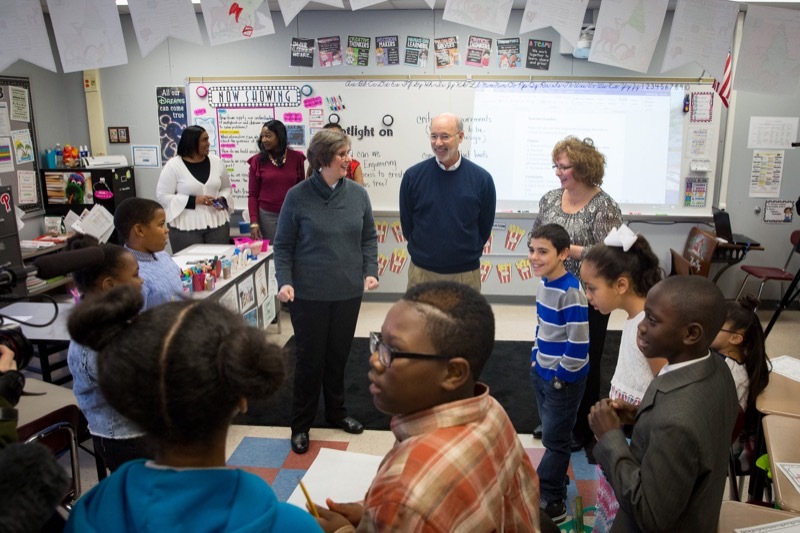 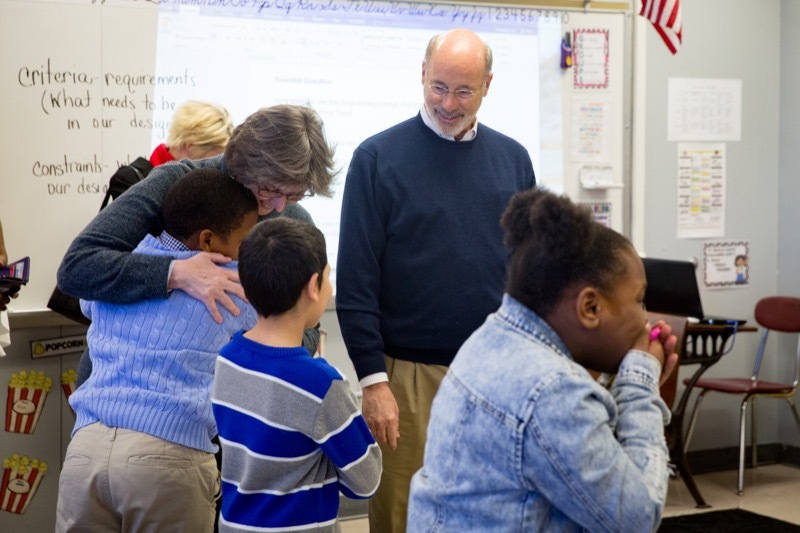 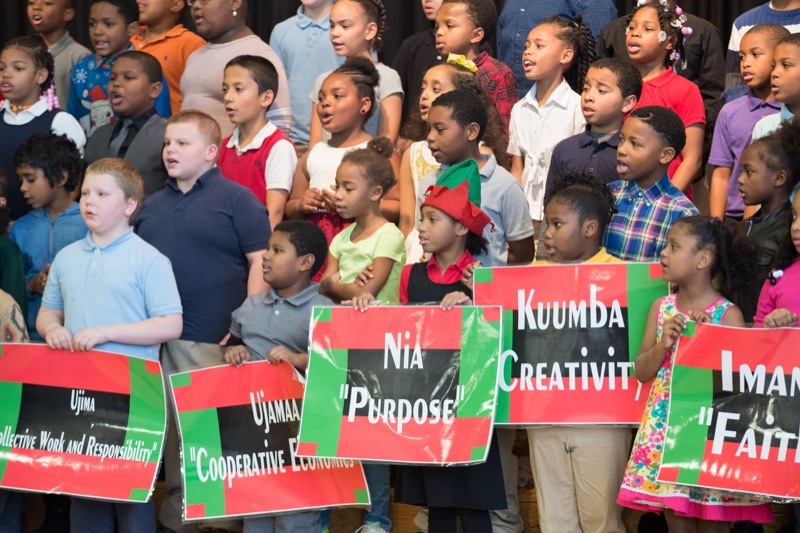 Governor Wolf and First Lady Frances Wolf celebrated the holidays with the elementary school students and thanked the 4th grade honor roll students for making ornaments that are hanging from the ceiling of the State Reception Room in the Governor's Residence. 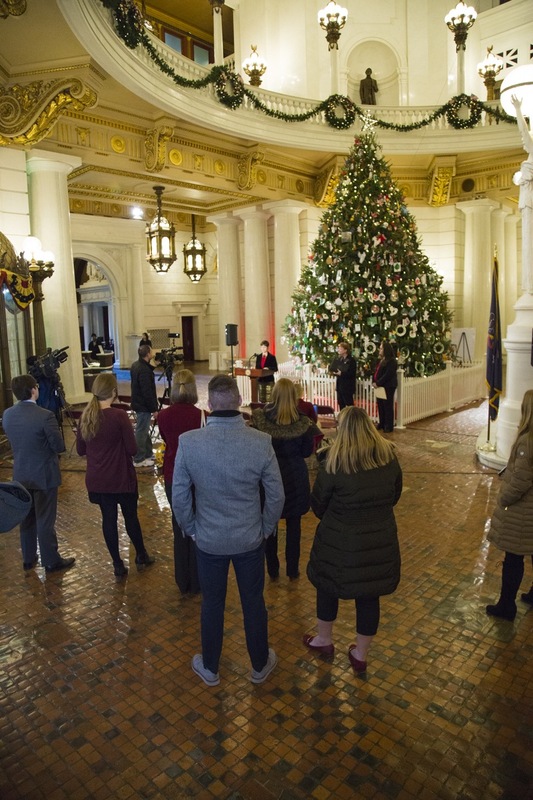 Governor & Mrs. Wolf celebrated the holidays with the elementary school students and thanked the 4th grade honor rolls students for making ornaments that are hanging from the ceiling of the State Reception Room in the Governor's Residence. 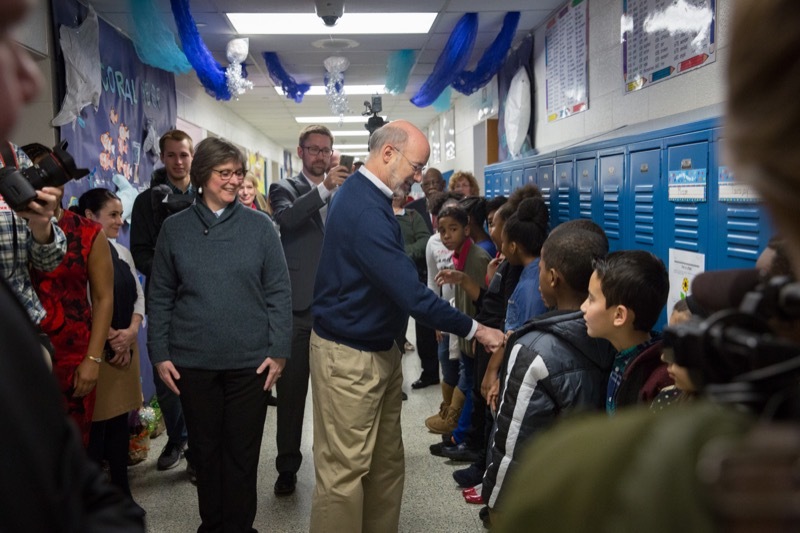 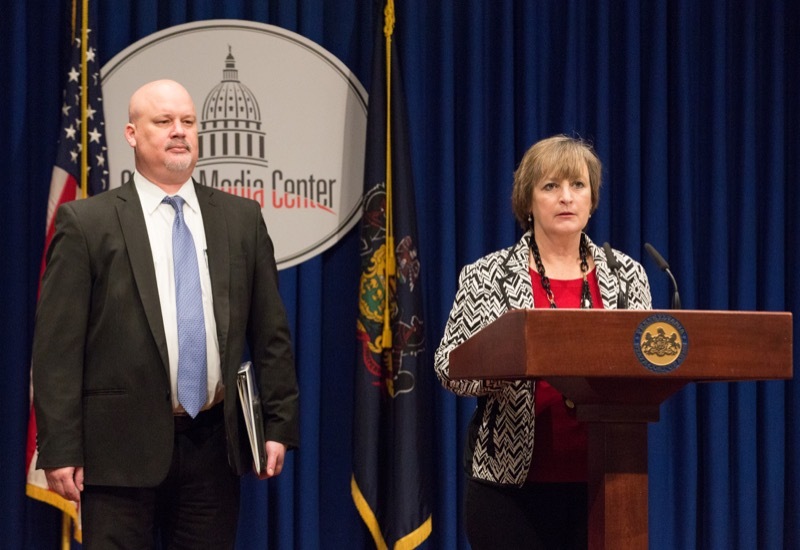 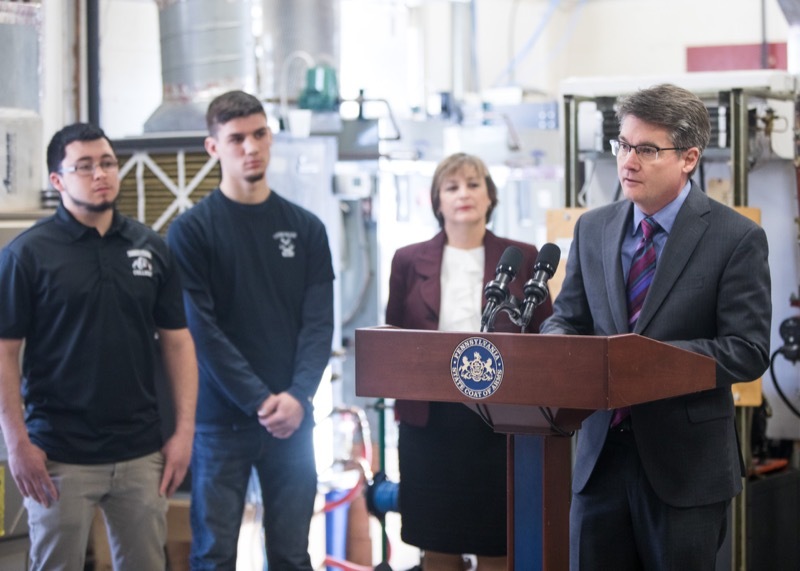 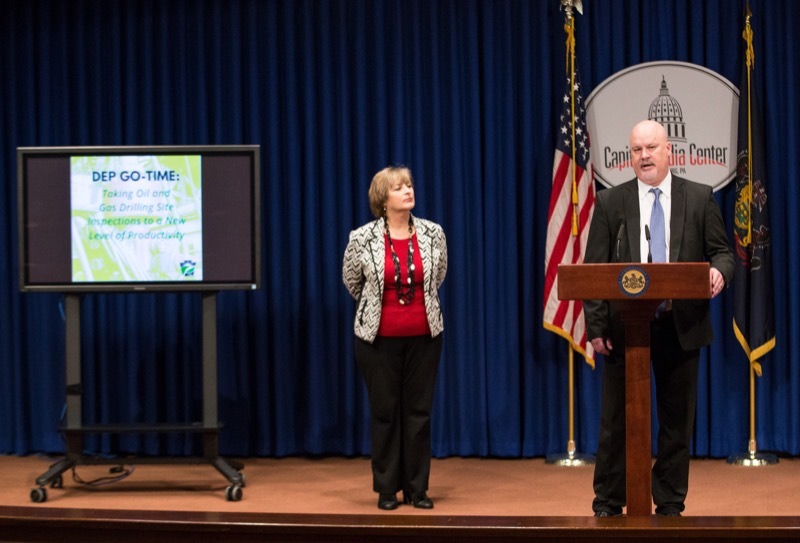 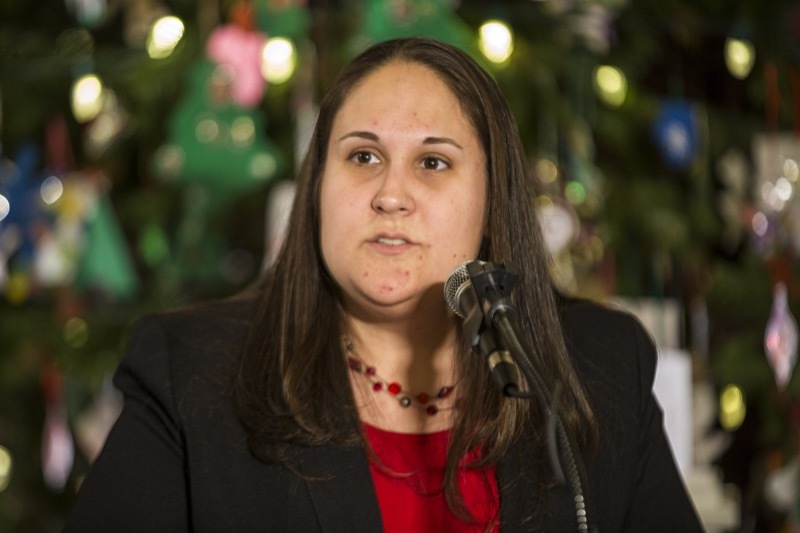 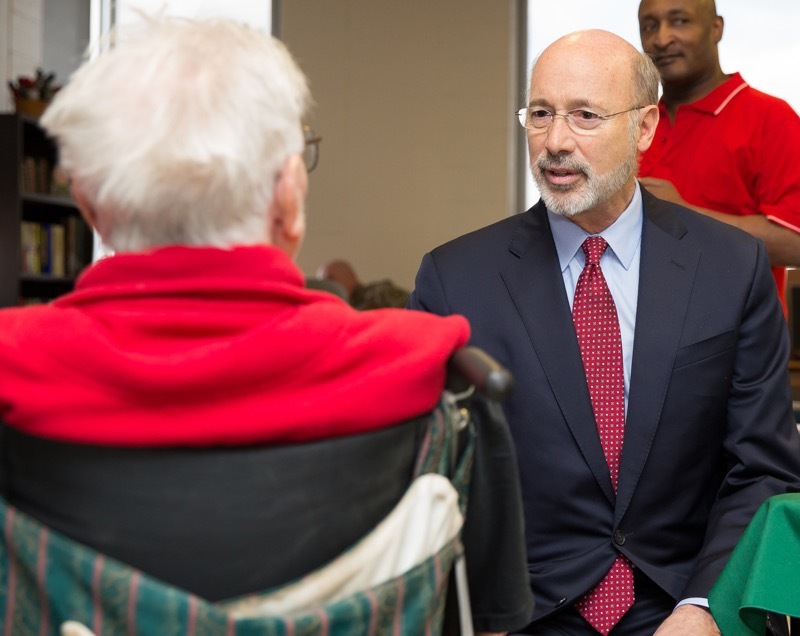 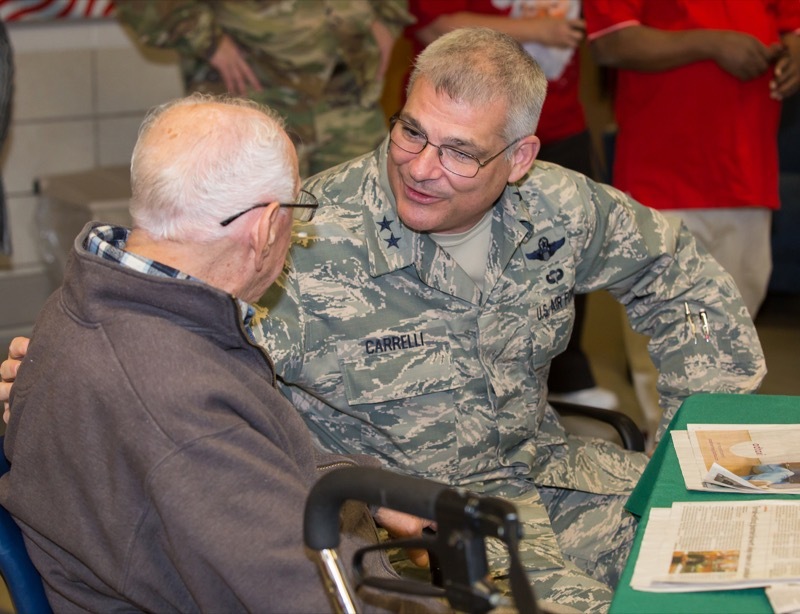 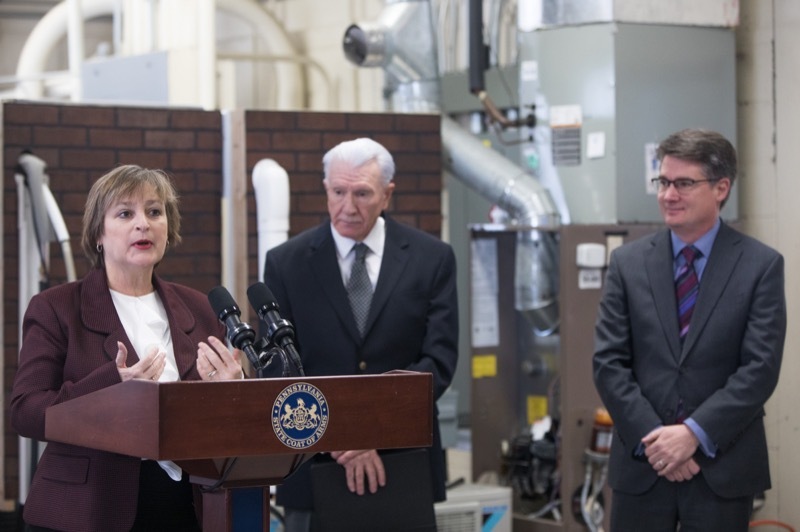 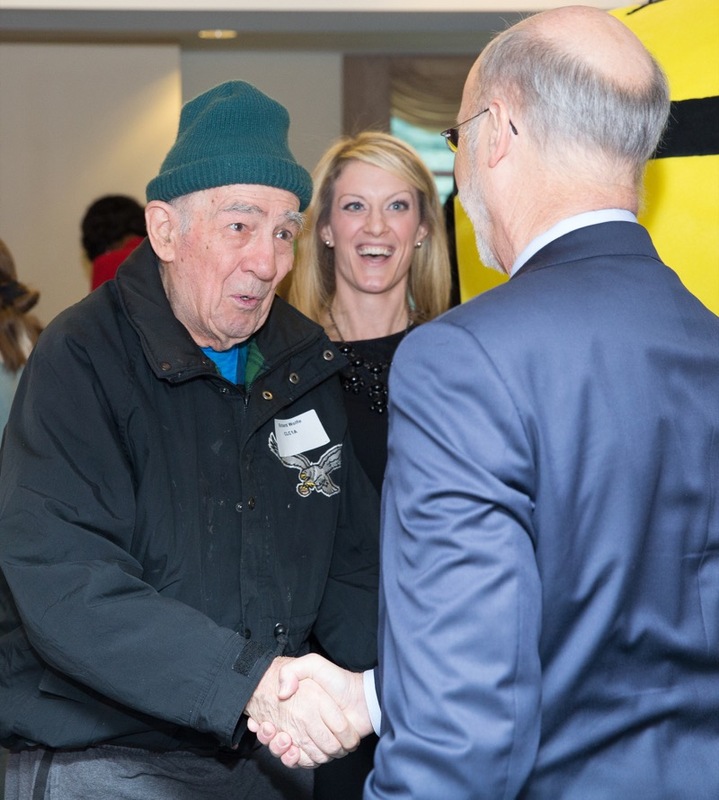 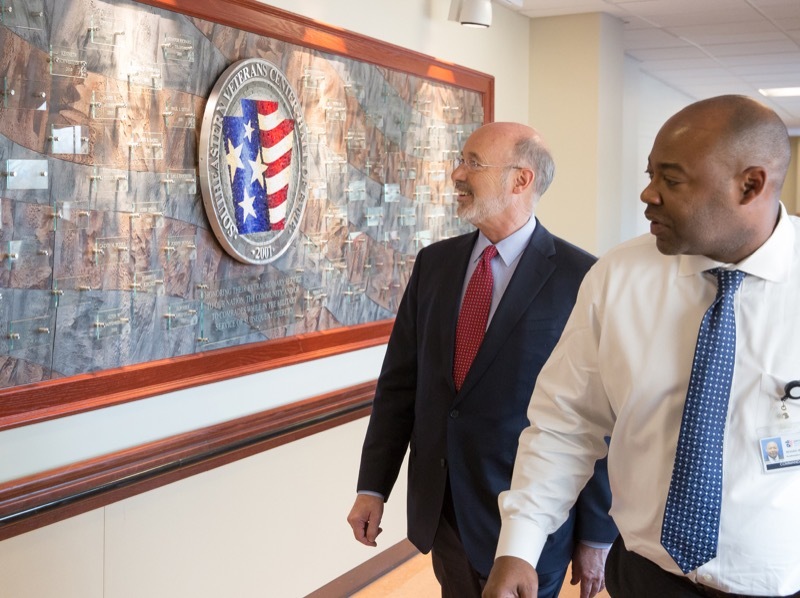 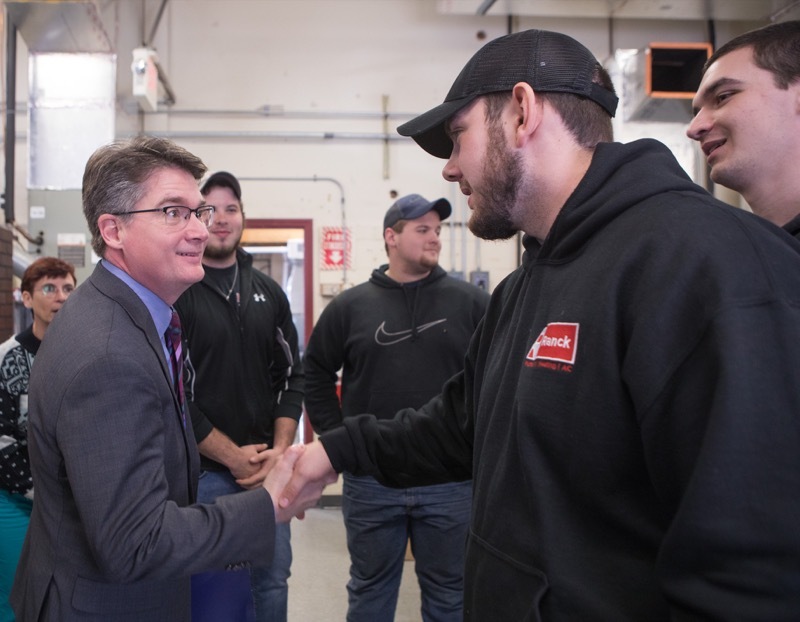 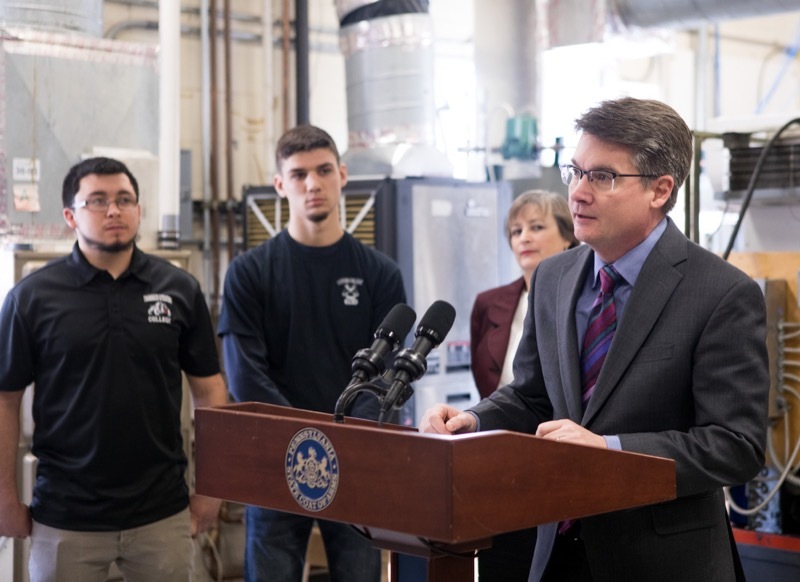 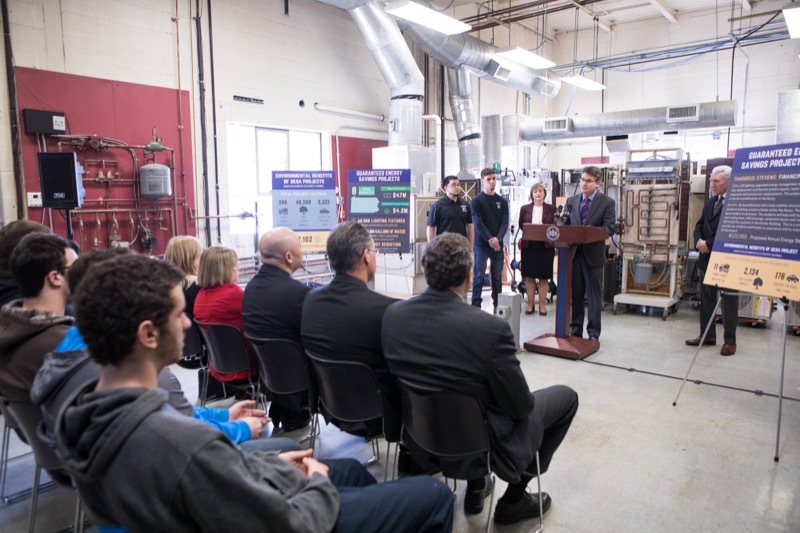 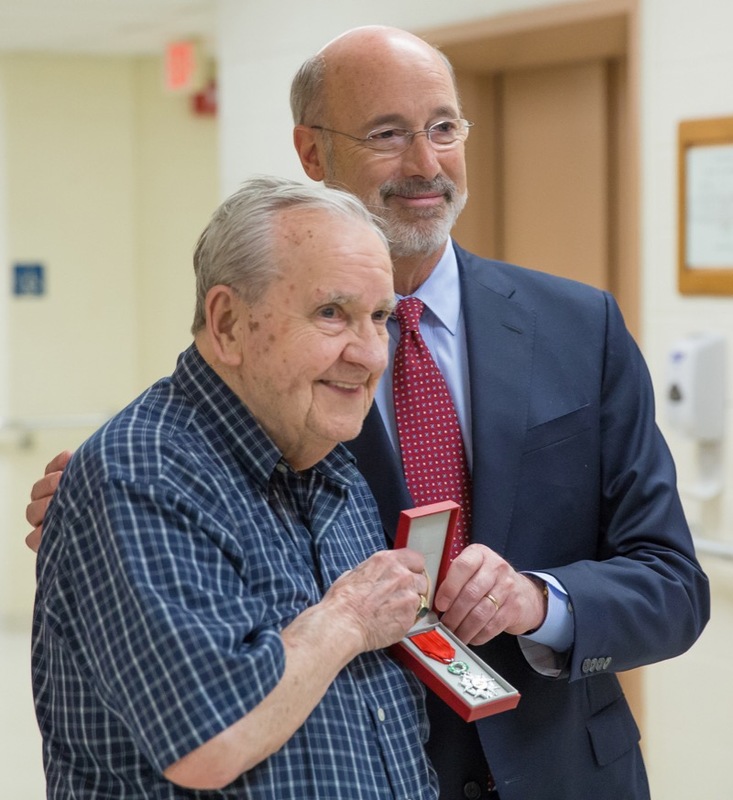 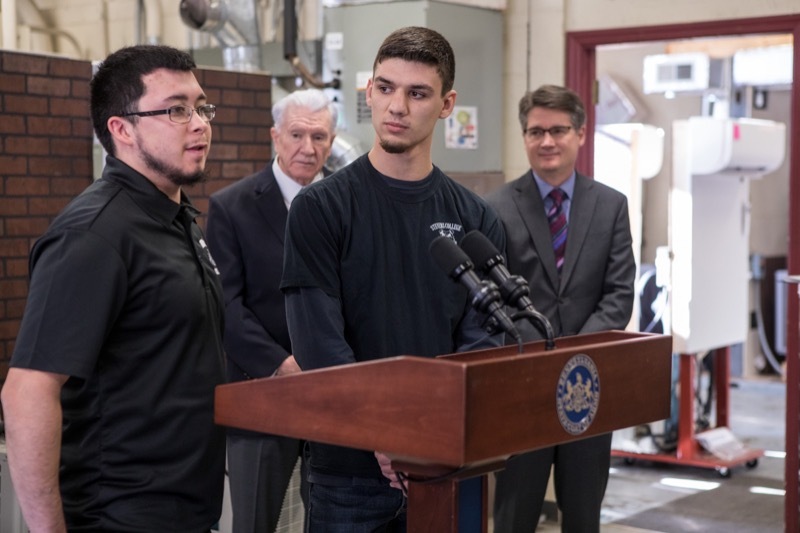 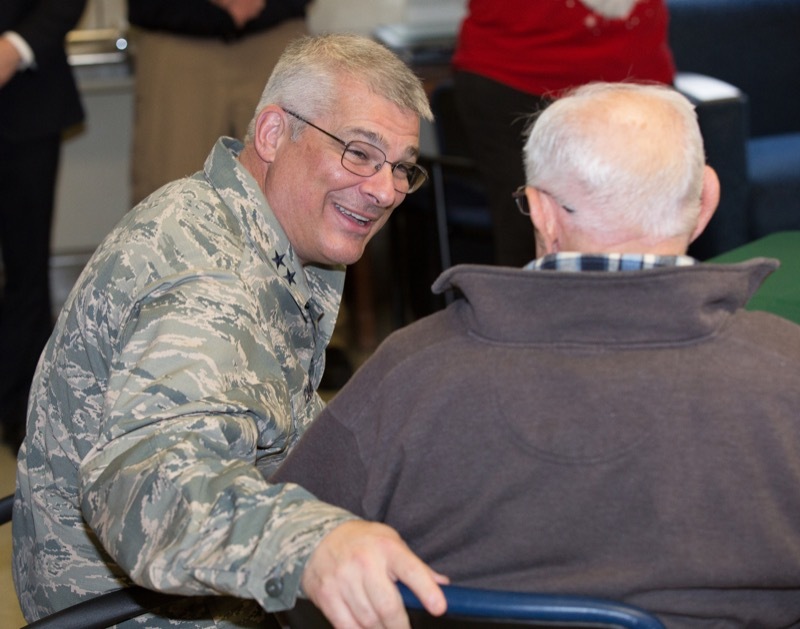 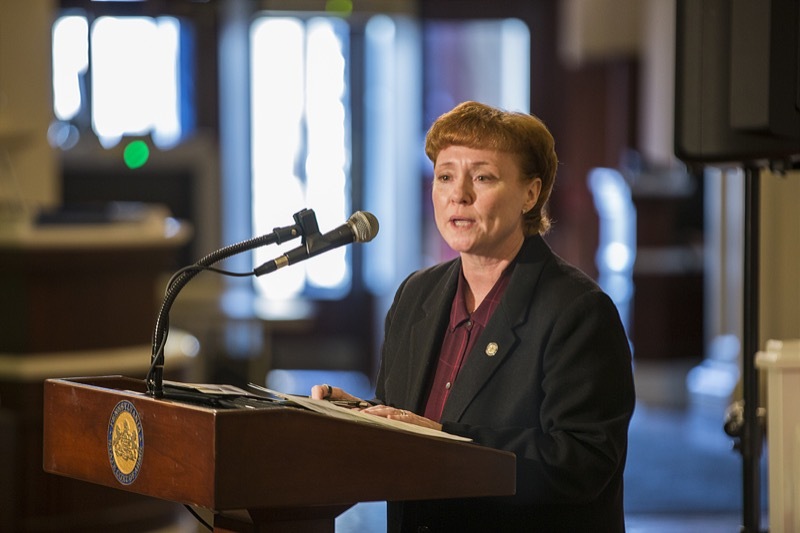 Harrisburg, PA - As the weather turns colder, the Wolf Administration wants to remind Pennsylvanians of the importance of getting a flu vaccine and taking steps to protect yourself and others from the flu. 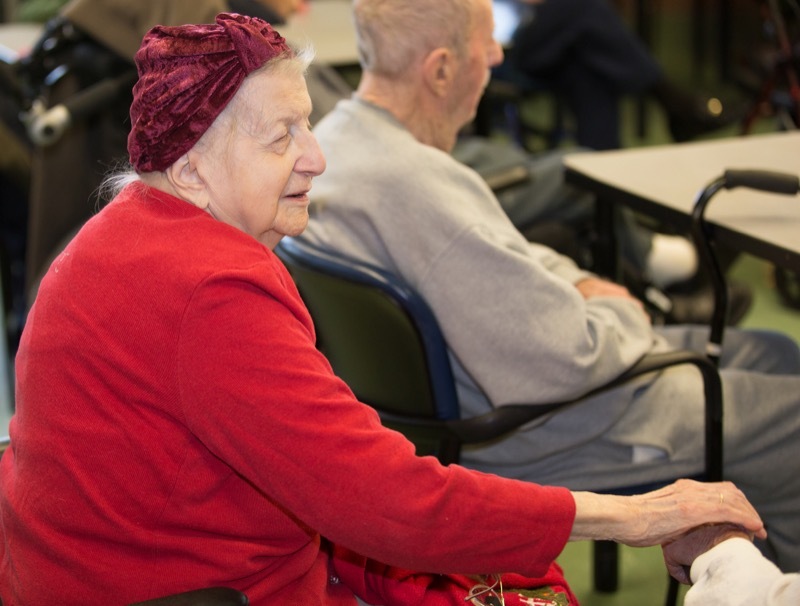 The flu is a highly contagious disease, and the most important thing you can do to prevent getting it is to get a flu shot. 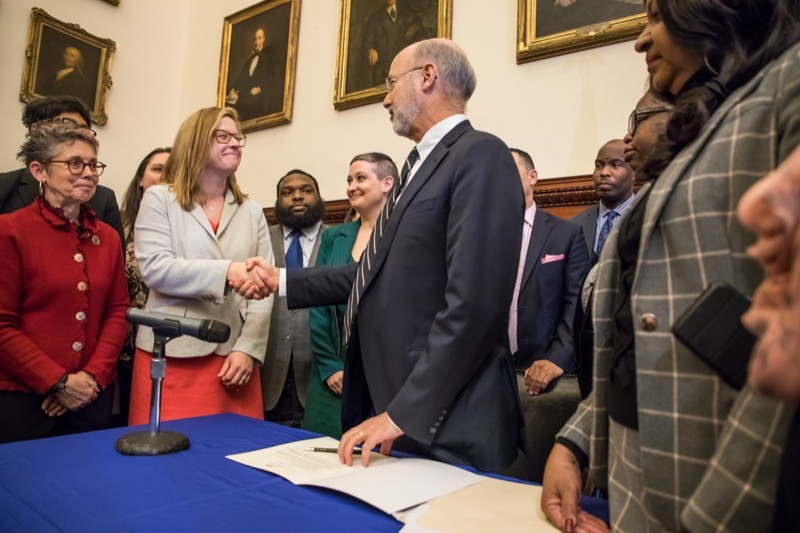 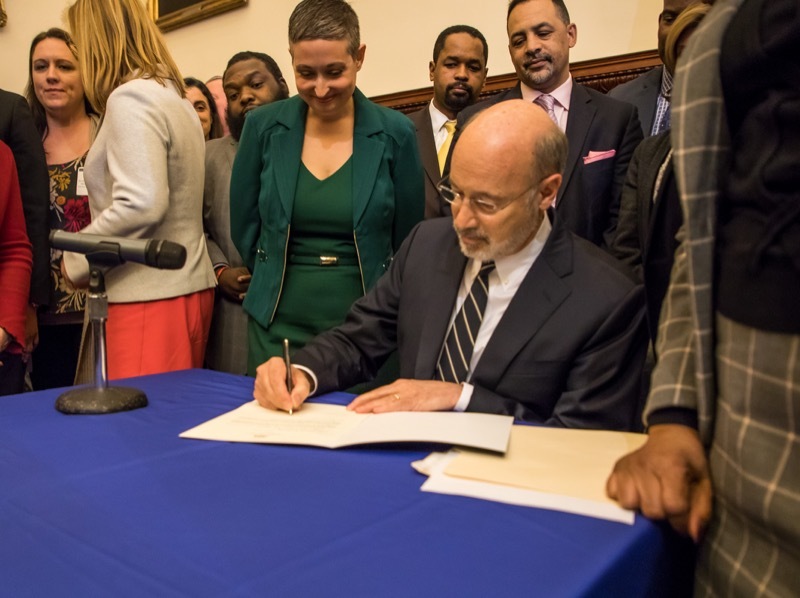 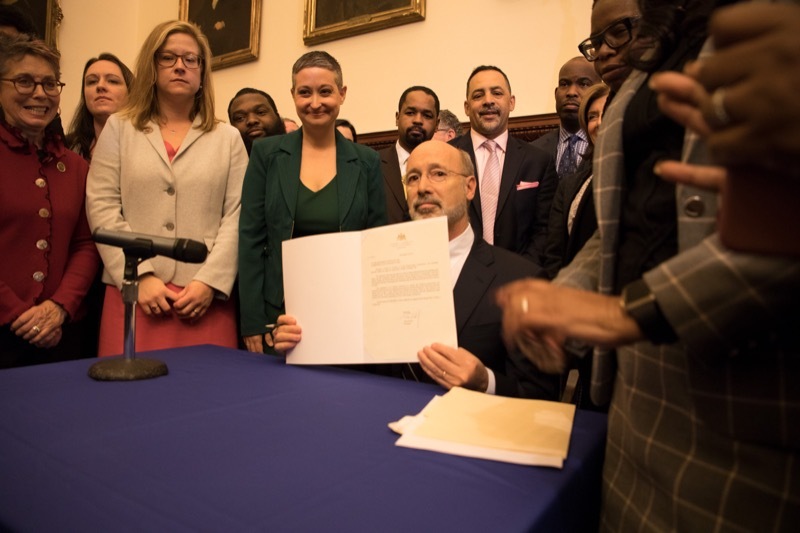 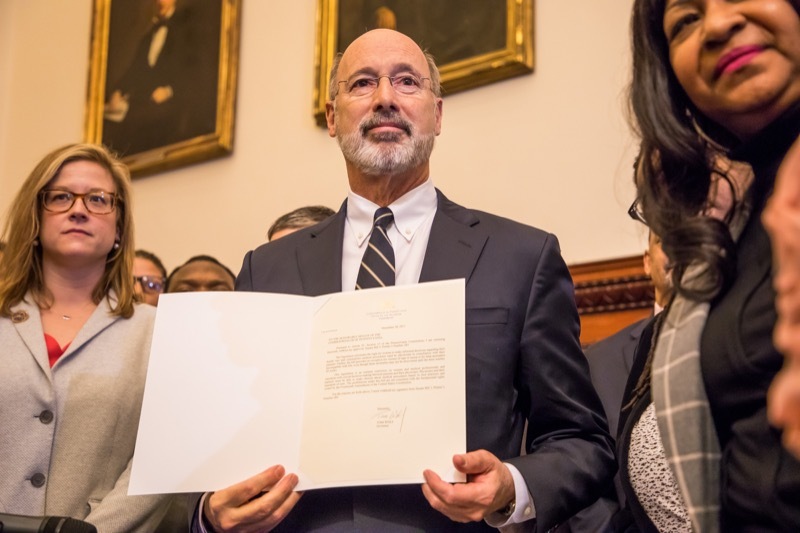 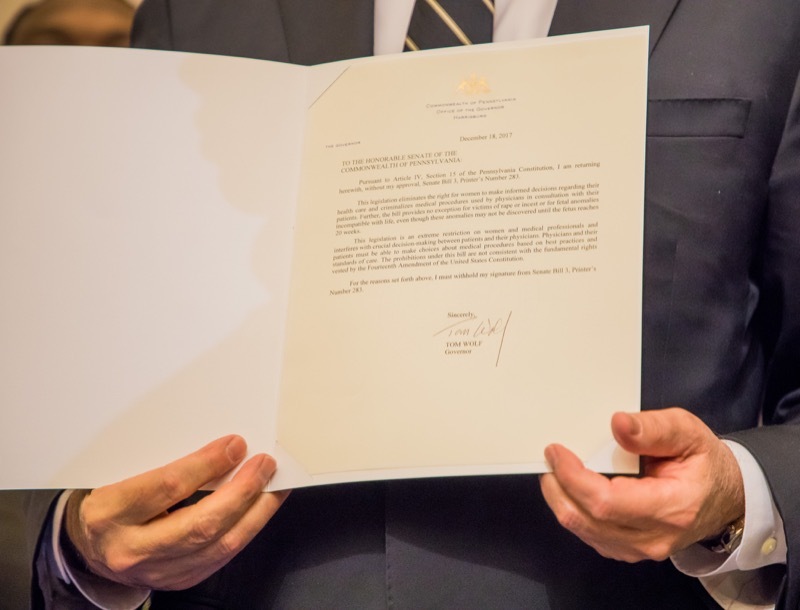 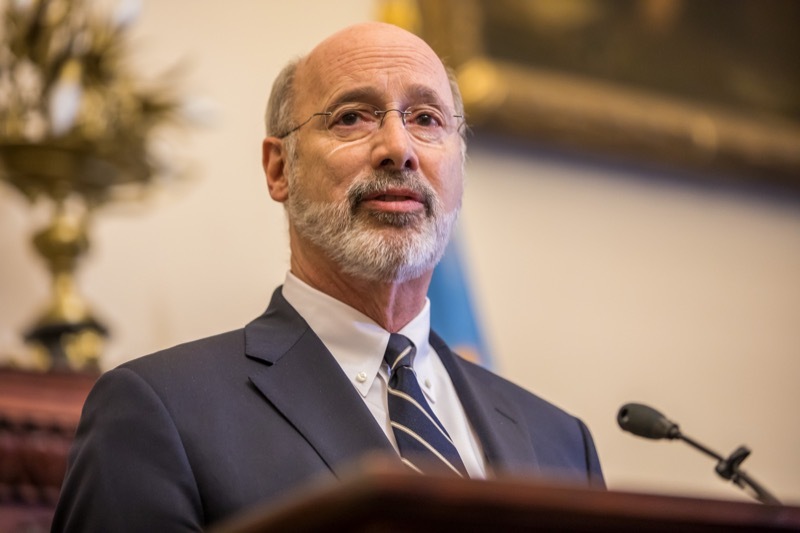 Today, Governor Tom Wolf vetoed Senate Bill 3, the anti-choice legislation that would severely limit women's reproductive rights and health care options. 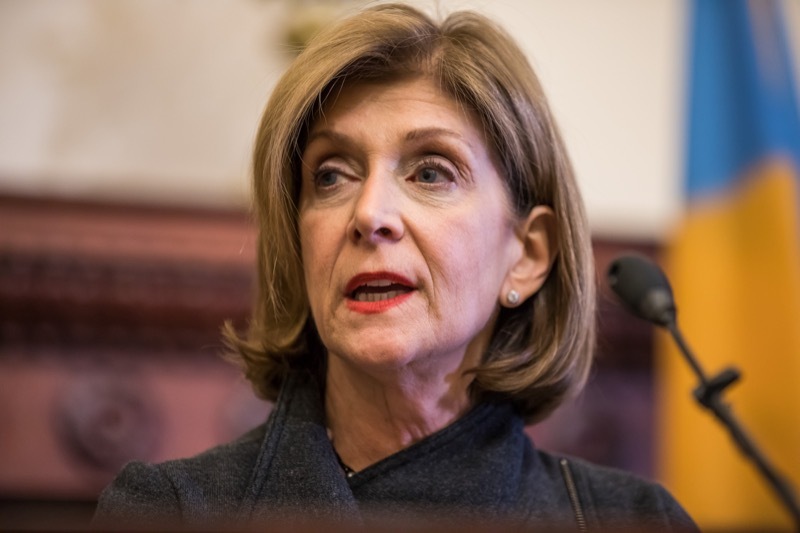 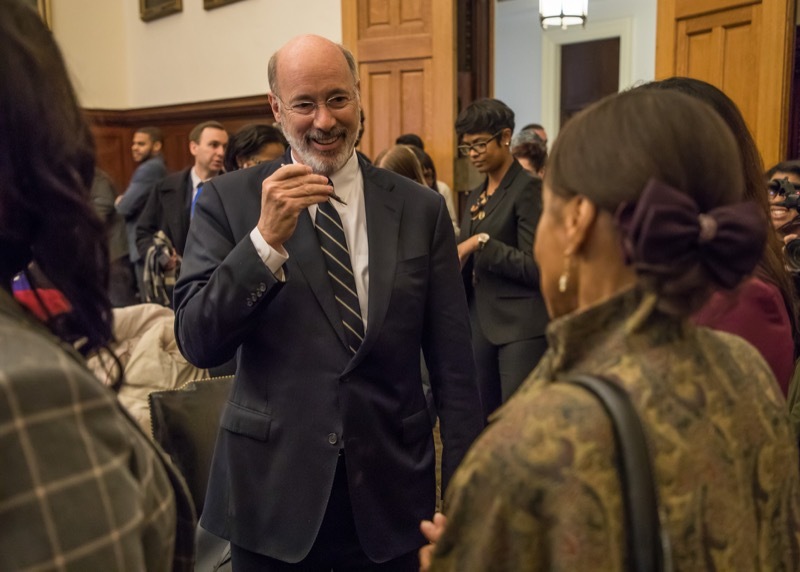 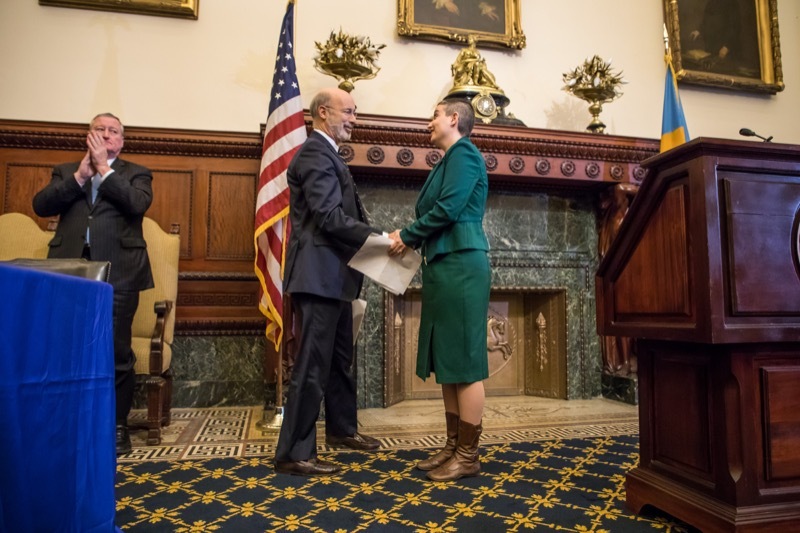 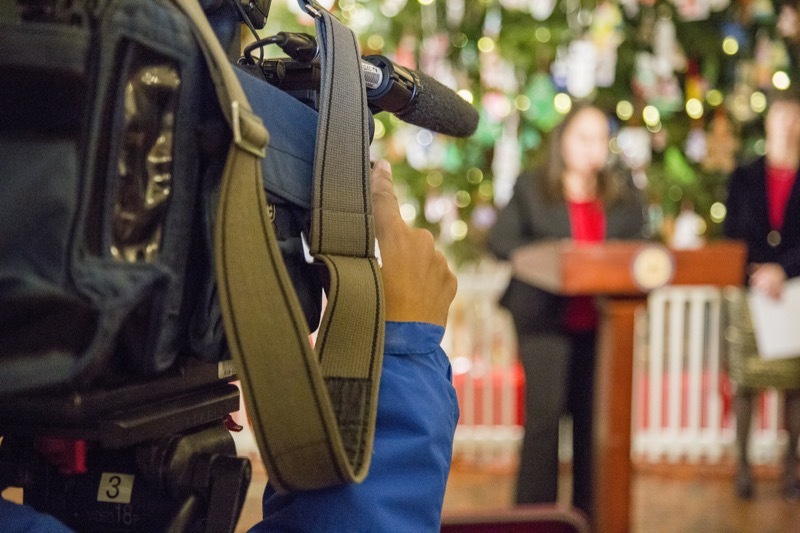 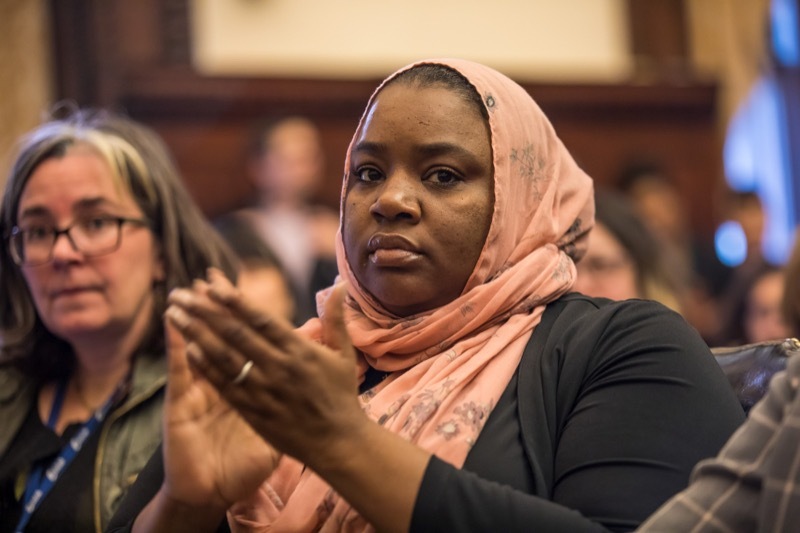 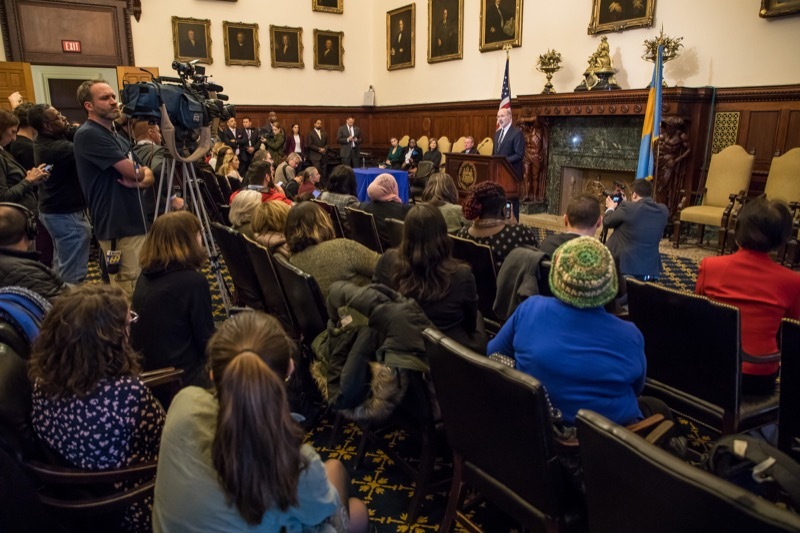 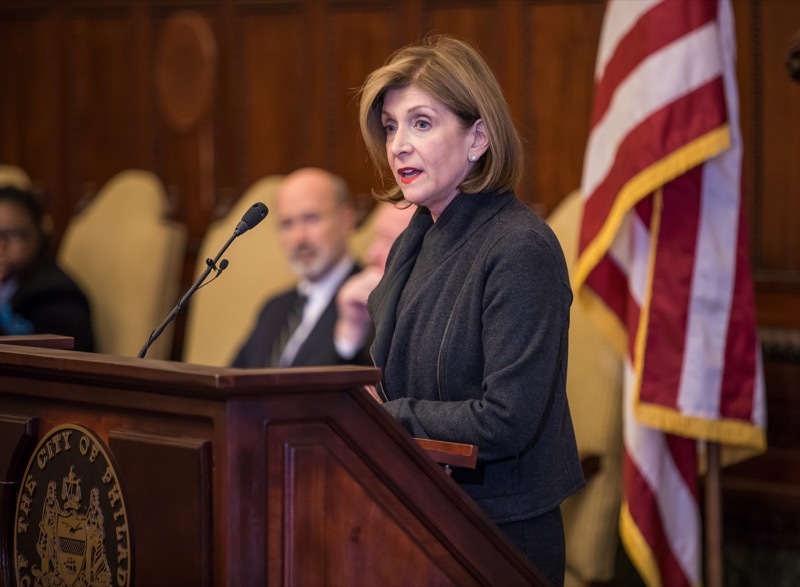 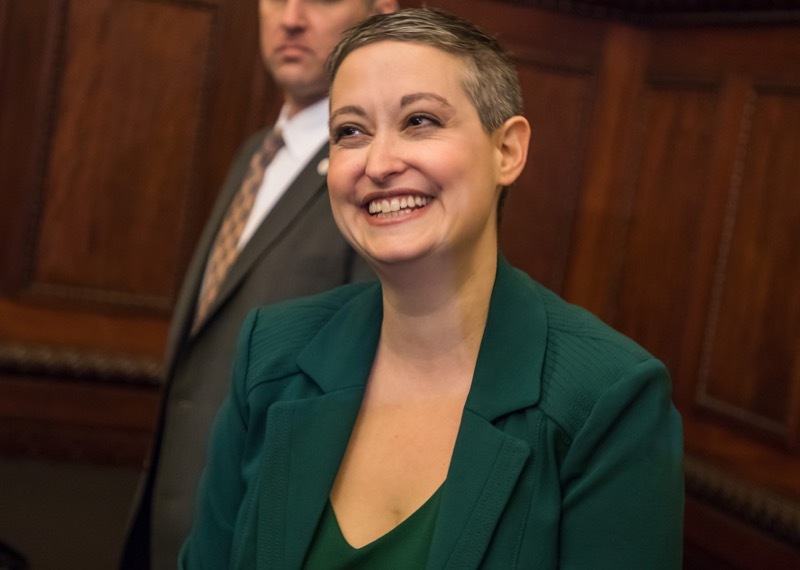 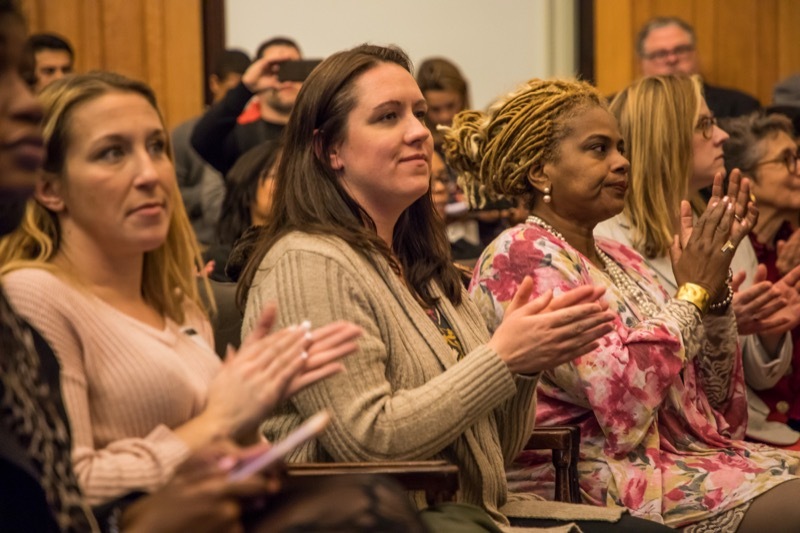 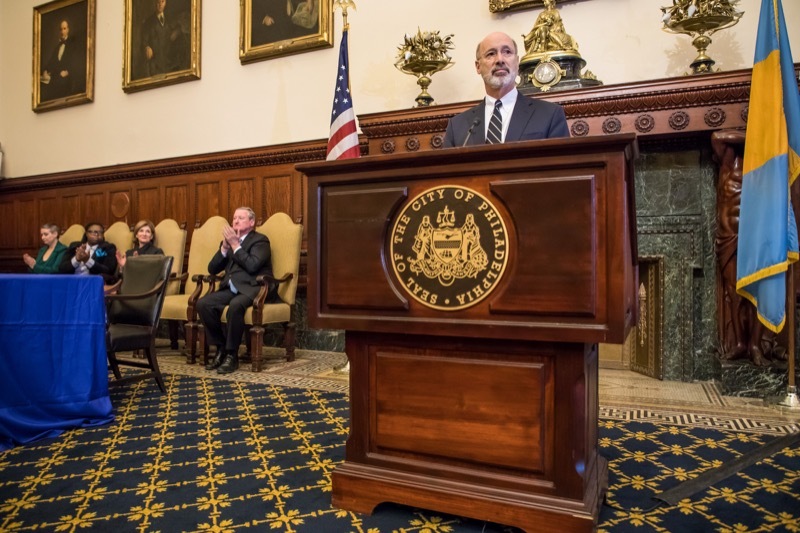 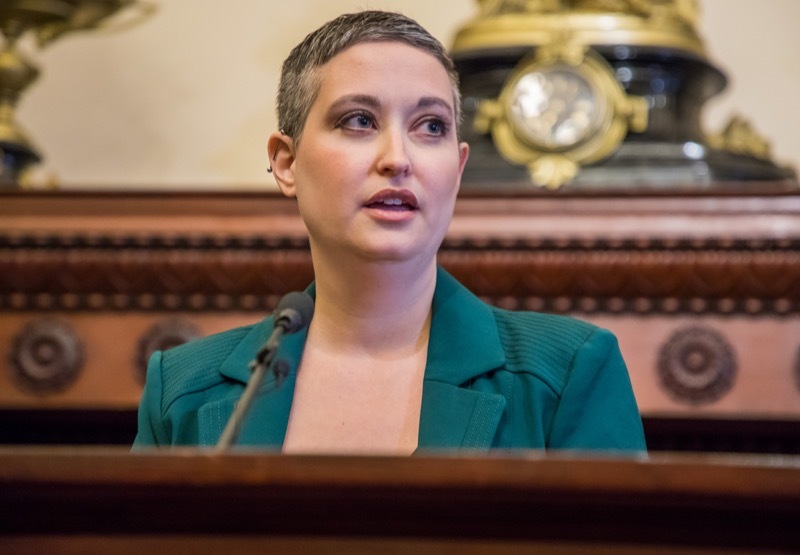 He was joined by Philadelphia Mayor Jim Kenney, legislators, local elected officials, and women's reproductive rights advocates for the event in the Mayor's Reception Room. 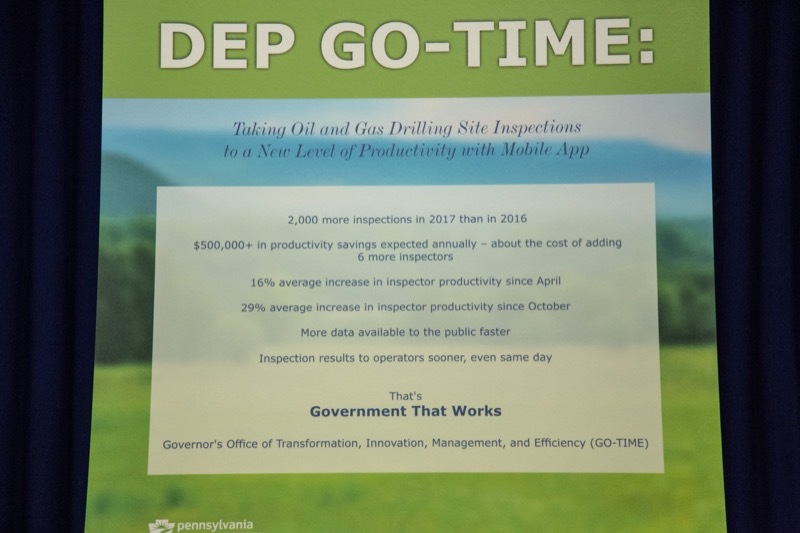 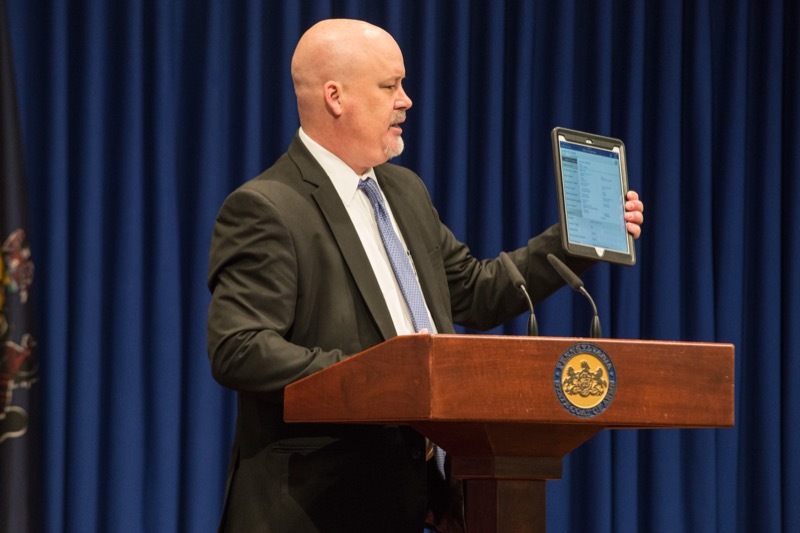 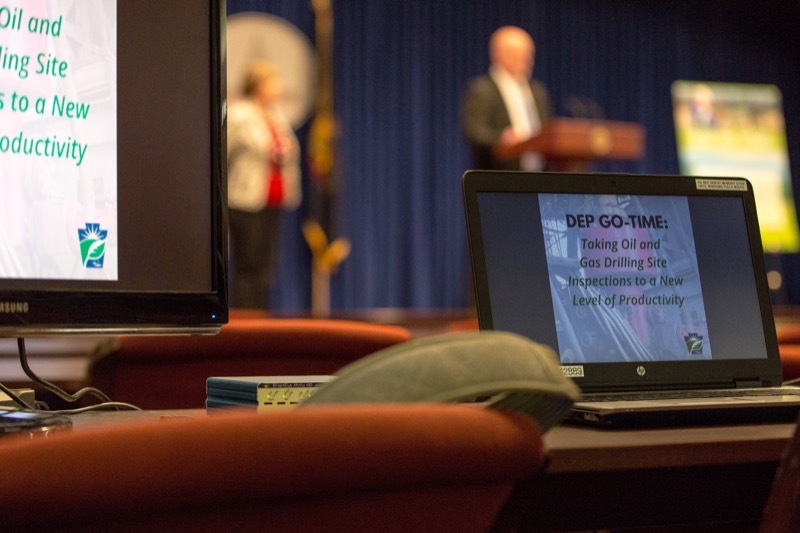 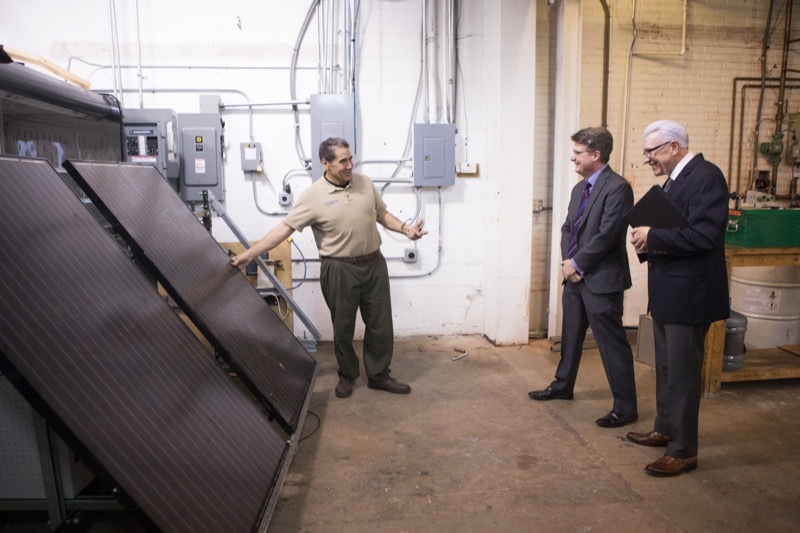 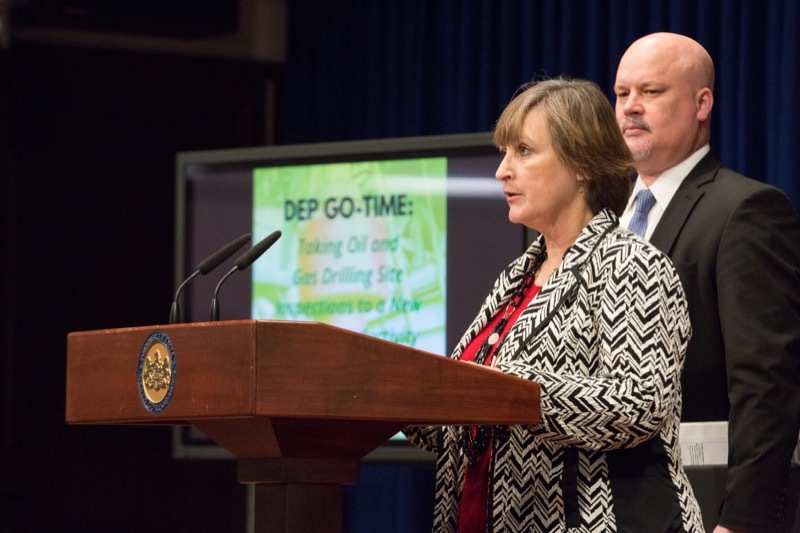 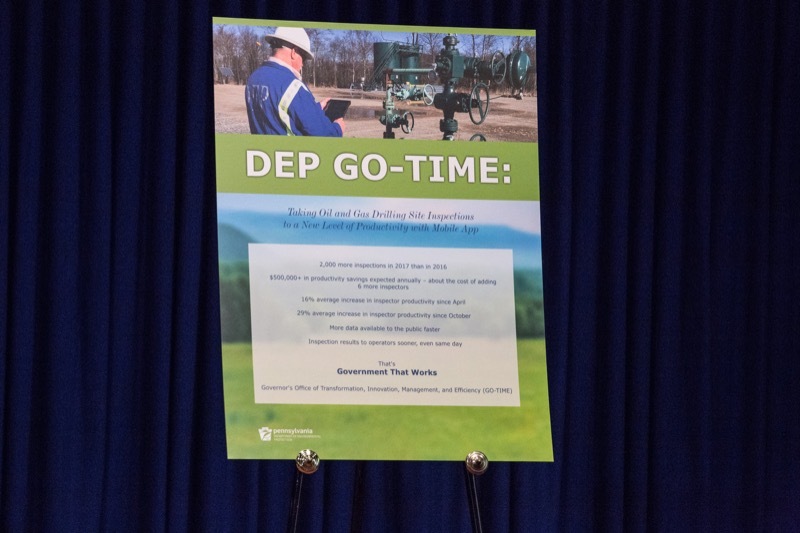 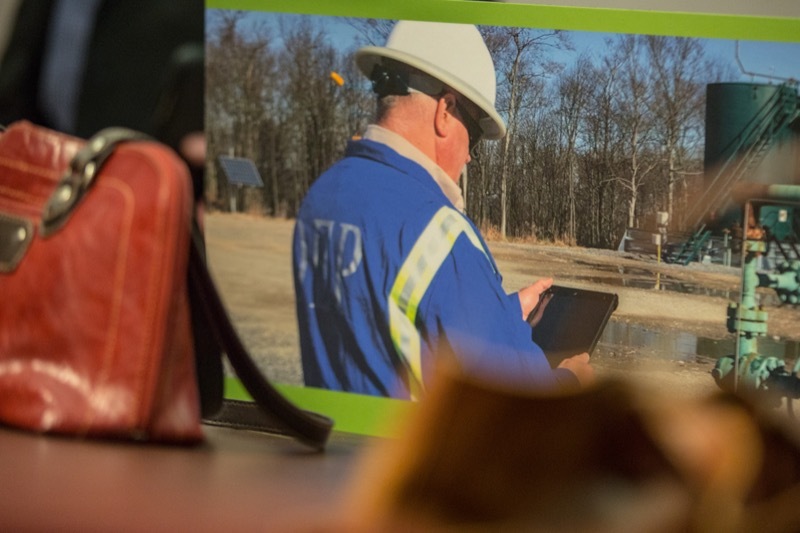 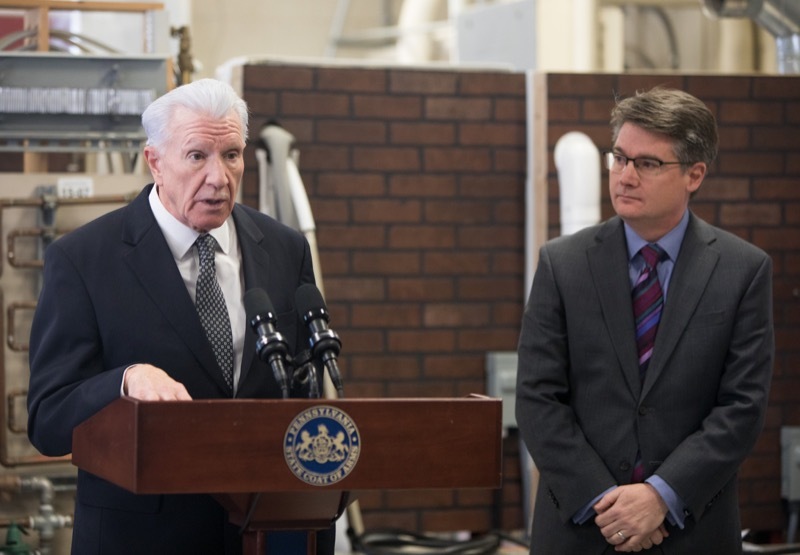 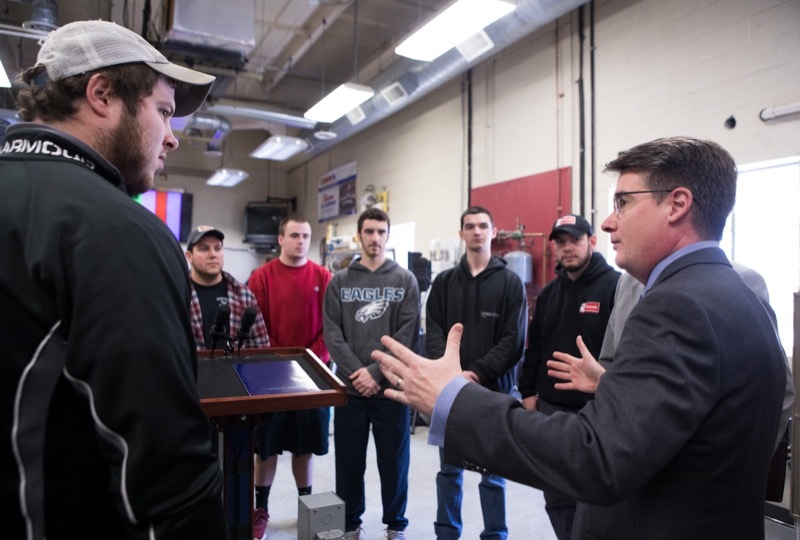 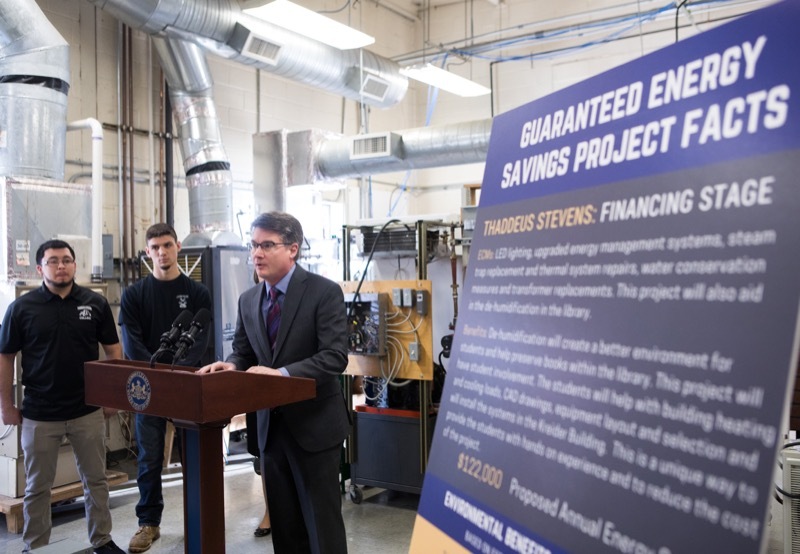 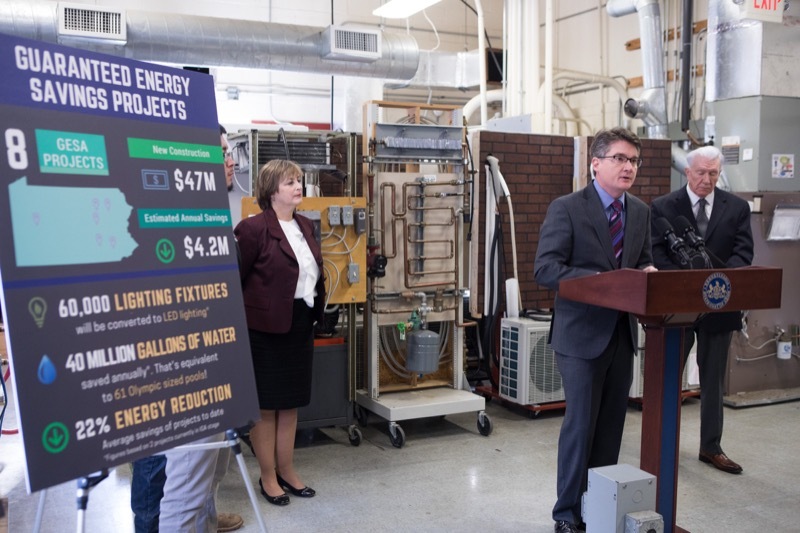 Harrisburg, PA - The Department of Environmental Protection (DEP) announced that it will complete more oil and gas drilling site inspections in 2017 than in 2016, as a result of a GO-TIME project that replaced years of paper forms with a mobile app. 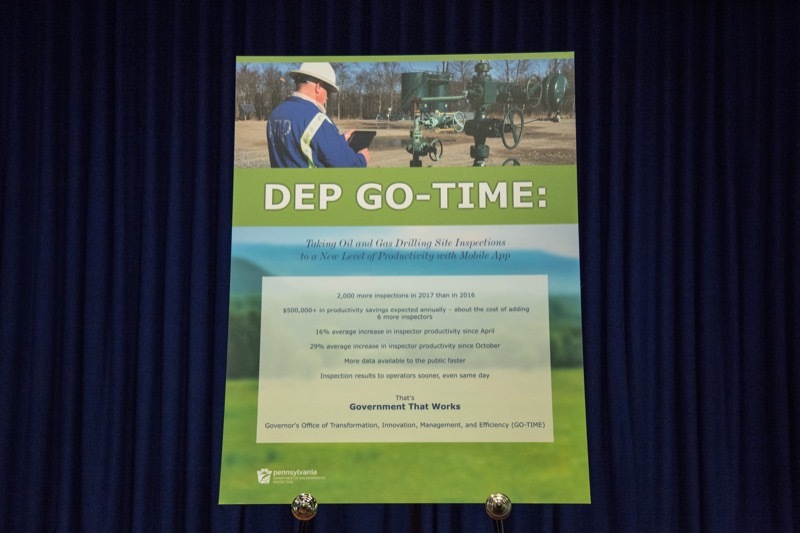 The Department of Environmental Protection (DEP) announced that it will complete more oil and gas drilling site inspections in 2017 than in 2016, as a result of a GO-TIME project that replaced years of paper forms with a mobile app. 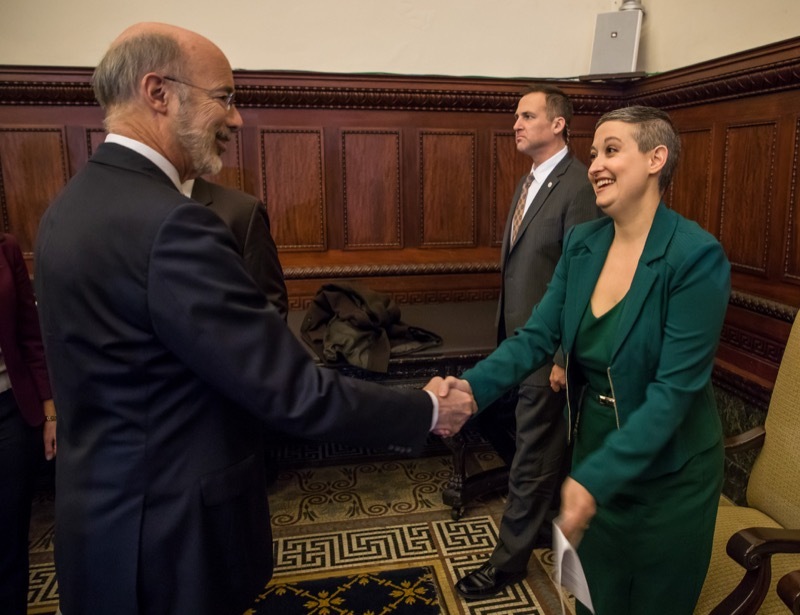 With state legislators, cabinet officials, health care providers, families, and Children's Hospital of Philadelphia (CHOP) administration and clinicians joining him, Governor Tom Wolf today held a bill signing of legislation to protect children's health care through state funding of the Children's Health Insurance Program, commonly known as CHIP.